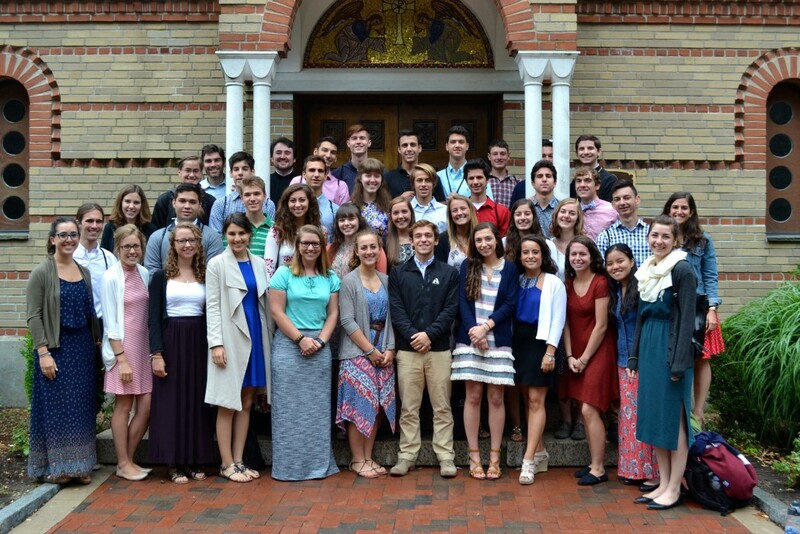 After starting their day with Divine Liturgy at Holy Cross Chapel, the participants engaged in their third day of theology and Scripture courses! The staff has been really impressed with their participation in discussion groups. In the afternoon, they had a chance to visit the Hellenic College Holy Cross Bookstore. Many of them will return home with some great books and HCHC apparel! Last evening we ventured into West Roxbury to visit St. George Antiochian Orthodox Church where we celebrated vespers and the parish priest spoke to us about the community at St. George. The CrossRoaders also participated in a staff-led session titled “Vocation & Suffering.” So much good learning, and we are thankful to be together in this wonderful community.